'Khameerah' was a reflection of elegance, type and conformation. 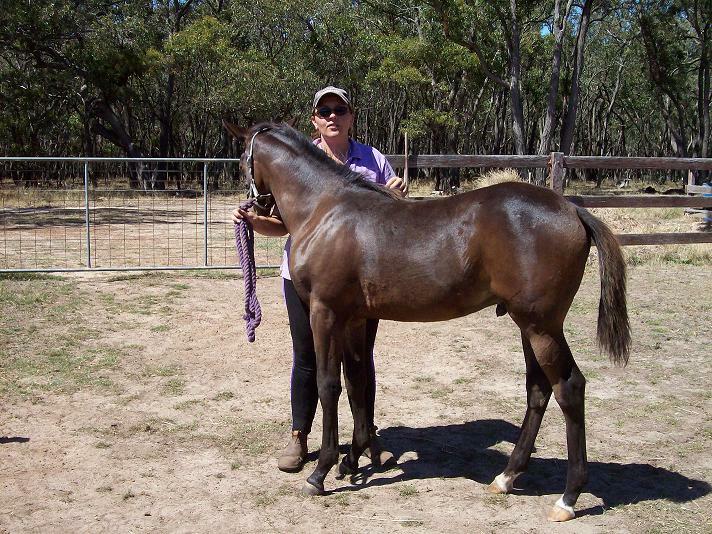 She was shown lightly as a yearling and never unplaced - a first and two placing's. She displays long floating movements, excellent conformation, length of neck and legs with short back and cannons. 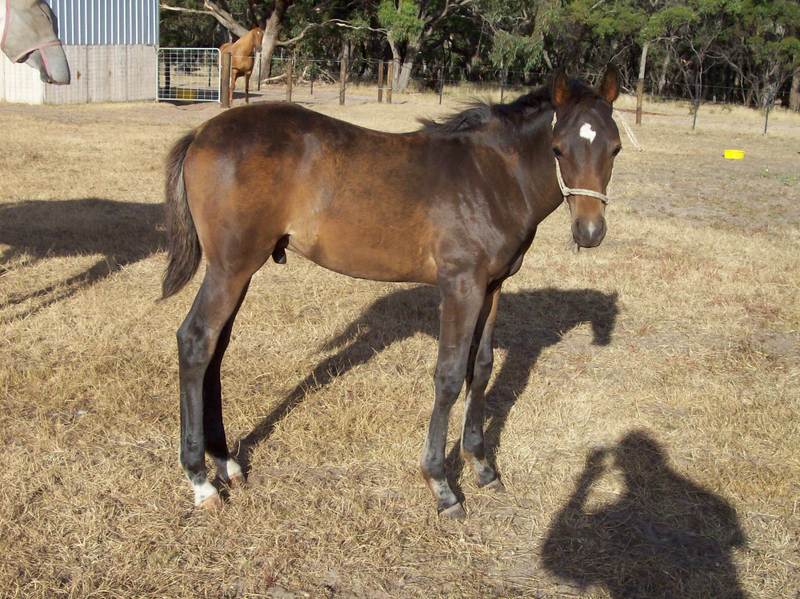 This tall filly is a reflection of her bloodlines; Khemosabi, Nile, Mustafa, Tallangatta Muftakher, Desert Pride and triple Gainey crosses. 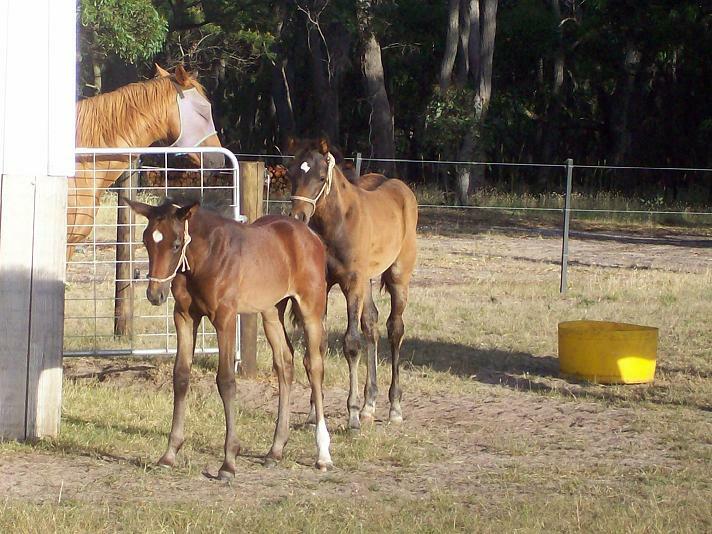 Khameerah was Sold October 1999 to Leigh Jamieson - Seven Oaks Arabians and has been a very successful Broodmare. 'Shouzette' should mature to approximately 15hh. 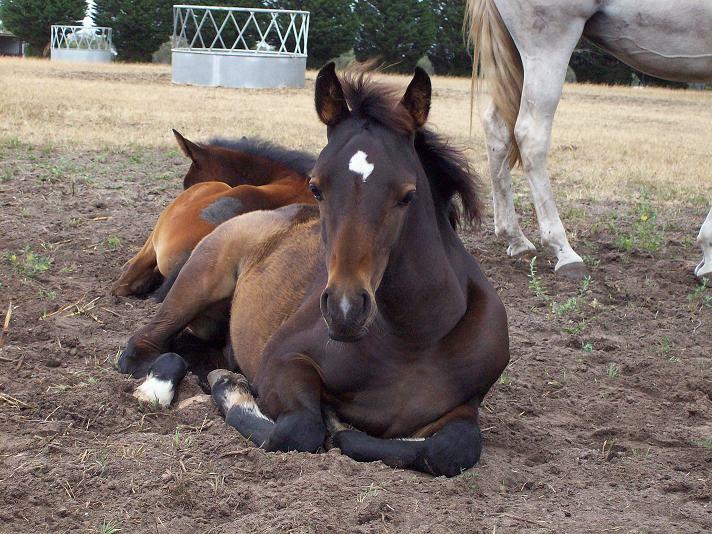 She has been bred to perform. She elicits, excellent type and temperament, smooth flowing movement, short back and cannons. 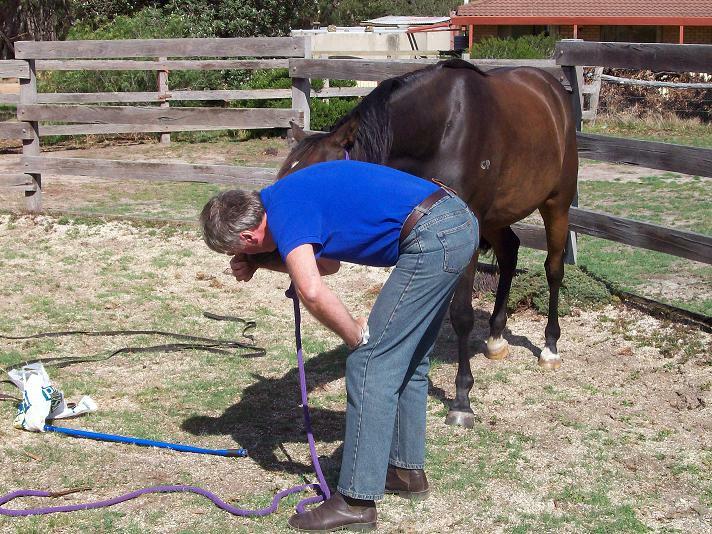 Her correct conformation, temperament and bloodlines will ensure that she excels at any discipline. 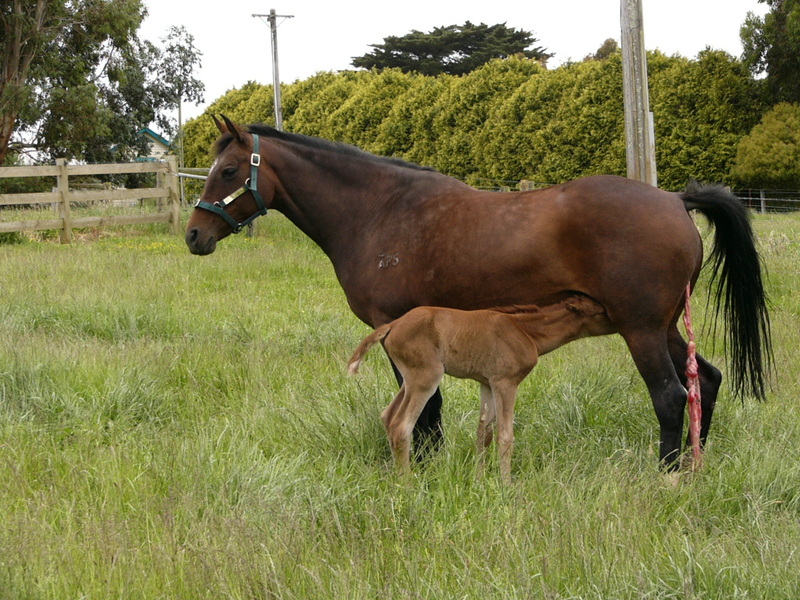 She was shown once for a place at Yarra Valley 'A' Grade Show 1998. 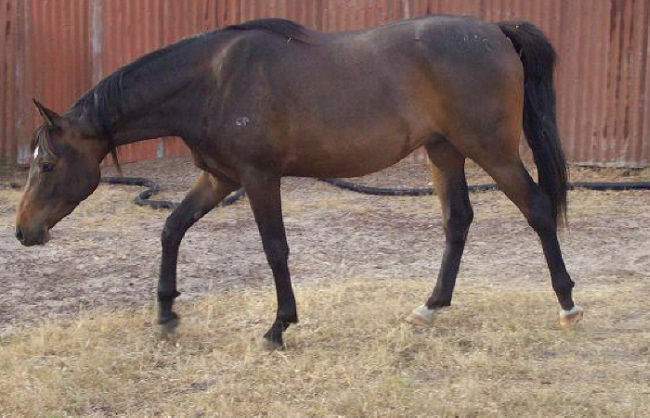 Her bloodlines include; Nile, Mustafa, Tallangatta Muftakher, Desert Pride and double Gainey crosses. 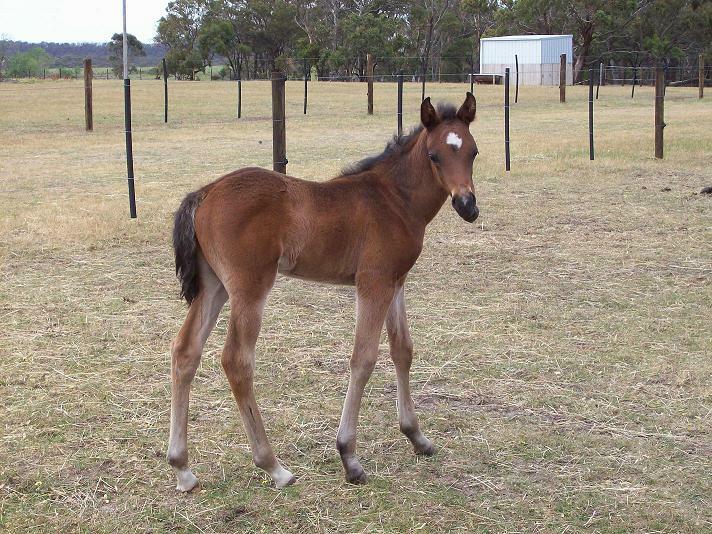 Shouzette was Sold October 1999 to Leigh Jamieson - Seven Oaks Arabians and has been a very successful Broodmare. 'Shukran' was a top performance prospect. 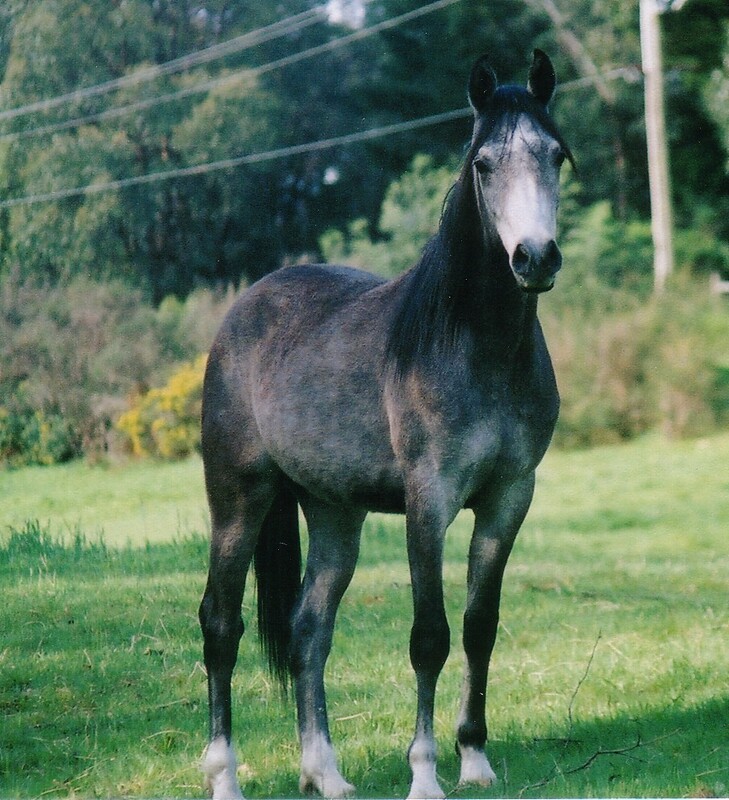 He was a stunning gelding that inherited a unique blend of looks from both his Sire and Dam. Shukran was bred for performance, both ridden and in the ring! At 6 years of age and 15hh Shukran typified the equine athlete; clean, well boned legs, short cannons, strong shoulders, powerful hind quarters, deep girth and defined musculature. 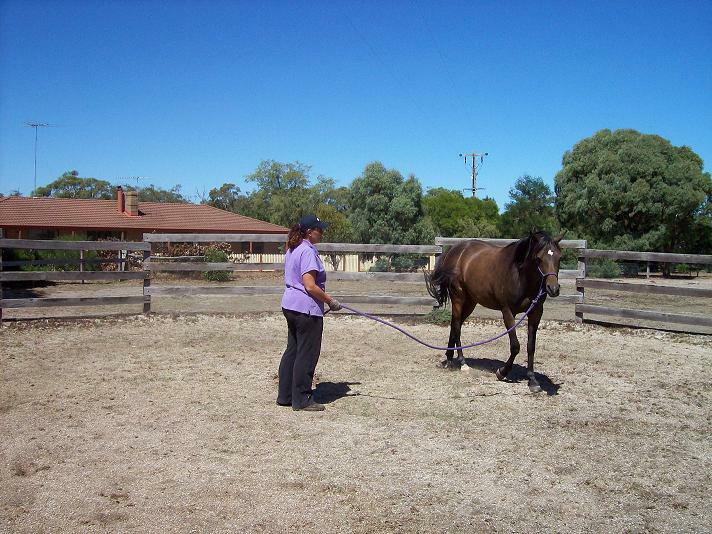 These attributes have combined well, resulting in excellent conformation and smooth, suspended movement with a "Ground Covering" powerful "Arm Chair" canter. His strengths are founded in his quality ancestry; Nile (Mustafa), Tallangatta Muftakher (Royal Domino), Desert Pride and Gainey lines. 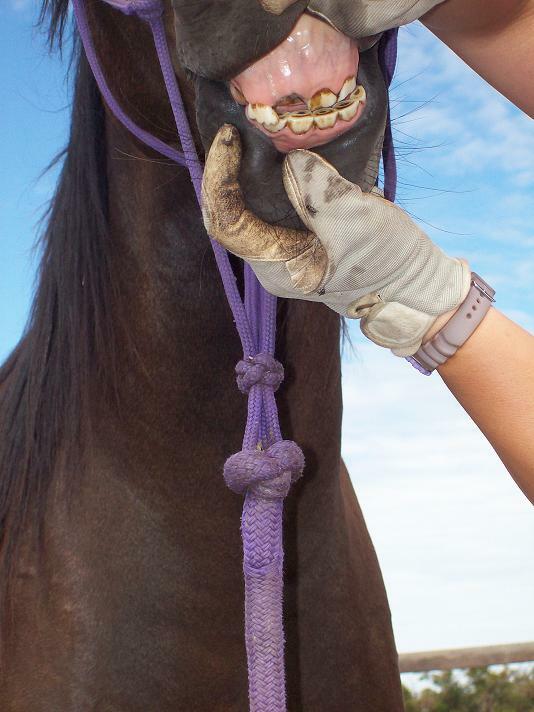 Shukran was trained to saddle in June 2003. He commenced light work as part of his ongoing education and conditioning. 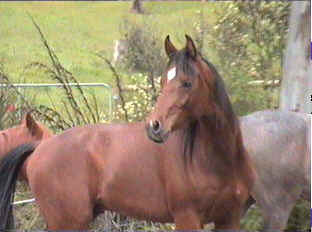 Shukran was Sold May 2004 to continue his ridden career. 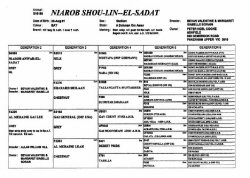 'Shuquero' is the product of Imoan Arabians' 3rd cross of our stallion 'Niarob Shou-Lin--El-Sadat' with 'Inman Park Gaiful'. 'Shuquero' has a strong suspended 'ground covering ' trot, collected/efficient canter and classic Arabian type. 'Shuquero' is power, agility and elegance. He exhibits his parents classic type and his Sires great temperament. 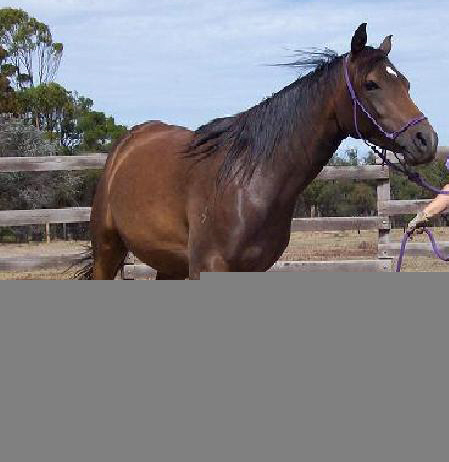 He is a combination of both parents producing a short coupled horse around 15hh , good length of rein, strong muscle and solid bone development. 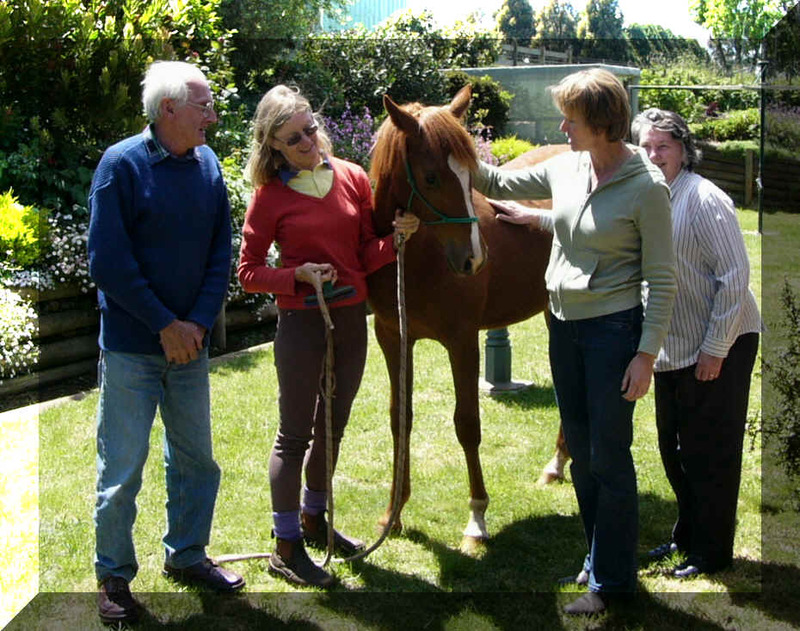 'Shuquero' was trained to saddle (May 2005) , was 'foal-imprinted' at birth, well handled, trained to halter, easy to trim, drench , vaccinate and float. 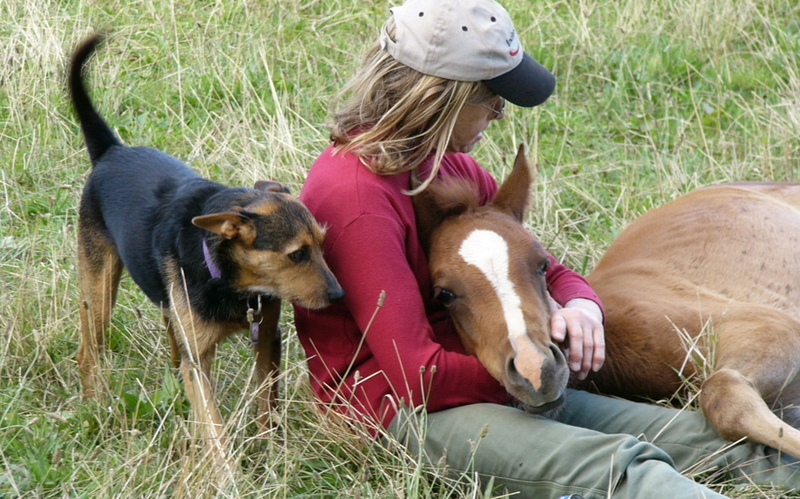 He has spent all his life in the hills of Pakenham Upper in West Gippsland. 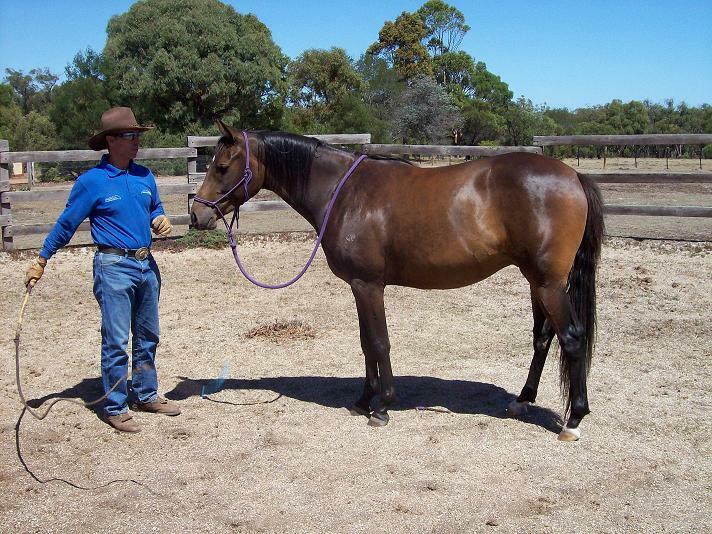 A good prospective performance gelding ready to seriously commence a saddle career. Shurazz exhibits qualities characteristic of both brothers before him (Imoan Shukran & Imoan Shuquero). 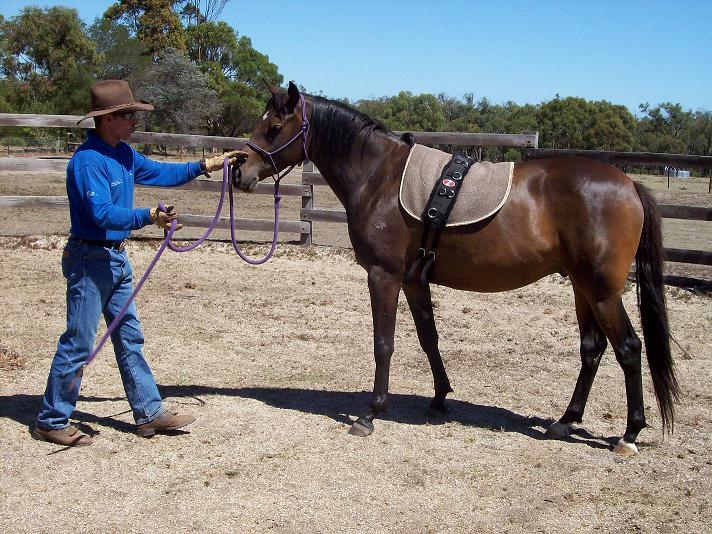 He is an elegant gelding with his own blend of classy looks, good conformation and powerful muscles. Shurazz exhibits flexibility and athleticism. As a 4YO he has still got some growing to do, is not as short coupled as his older brothers but he can really move! Currently just over 14.2 hh and expected to mature to 14.3 - 15hh. Shurazz was offered for sale to someone who could realise his potential and provide him with the opportunities to prove his abilities in a performance or halter career. A real investment as a youngster. Shurazz was Sold October 2004 and then subsequently onward Sold Overseas. Shurazz Sold Overseas and competing in F.E.I. Endurance events for the U.A.E. Ishmael is just a tad under 16hh with classic Arabian type coupled with a powerful correct conformation. Ishmael displays excellent paces, especially a very powerful extended trot allowing him to cover ground fast and efficiently. 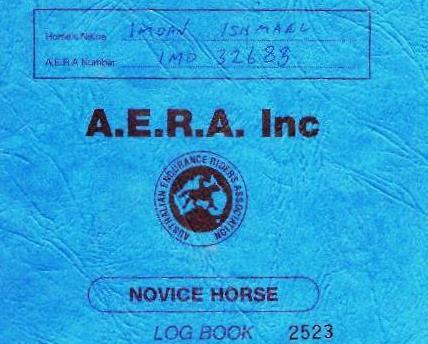 Ishmael's Sire is Yellow Log Book Qualified Endurance. Ishmael was shown lightly as a Colt with success before being gelded, used as a personal ridden horse & was part of the Endurance Team. 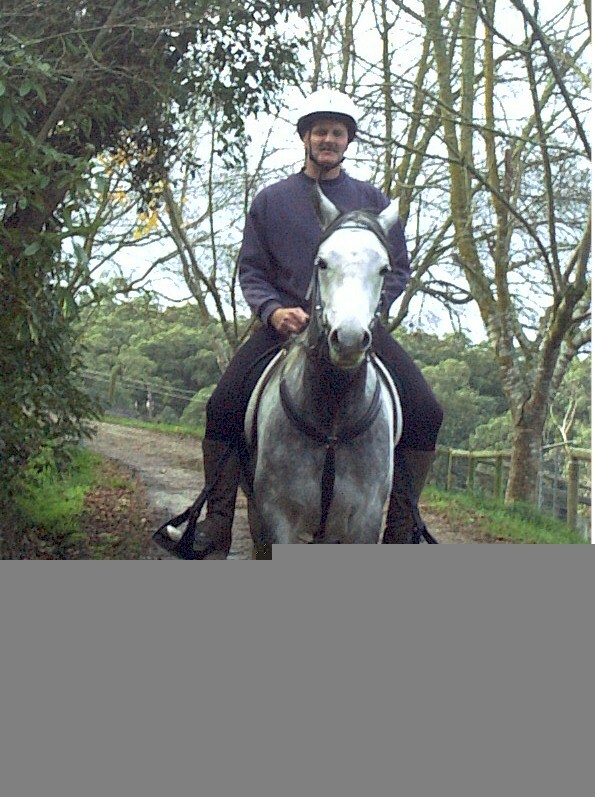 He commenced his ridden education in late 2002 & his brief endurance career at Yarra Ranges in March 2003. He was campaigned lightly until late 2005. My personal health circumstances (Owner/Rider) saw him miss the next three and a half years (through no fault of his) standing around in the paddock - missing the golden years of preparation/competition. 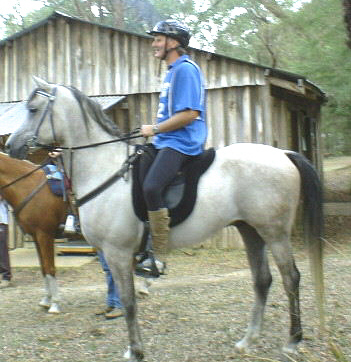 Ishmael temporarily recommenced "Barefoot" in September 2009 doing successful Endurance Training rides at Beechworth & Bright with no real (very limited) preparation. Ishmael requires a strong, experienced & confident rider who knows him well and how he will react in circumstances under saddle. He is extremely Competitive, Pulls & wants to be in Front. Well Mannered & Easy to Handle "On Ground". Back to Light Work in 2016 for the old boy's. Malikai is 14.3hh. He has expressive movement, notably a large suspended trot and smooth impulsive canter. Malikai has looks and movement to impress coupled with a great temperament. His short back and cannons, length of leg and neck, deep shoulders and girth, powerful hind quarters and a dynamic mix of bloodlines will ensure that he is a horse that will always be noticed. Malikai is an exquisite blend of Gainey lines crossed with El Shaklan, Nile (Mustafa) Estopa and Naadirah. Malikai was broken to saddle and was in training/light work prior to being Sold. Sold July 2003 to further his dressage education and his ridden career. 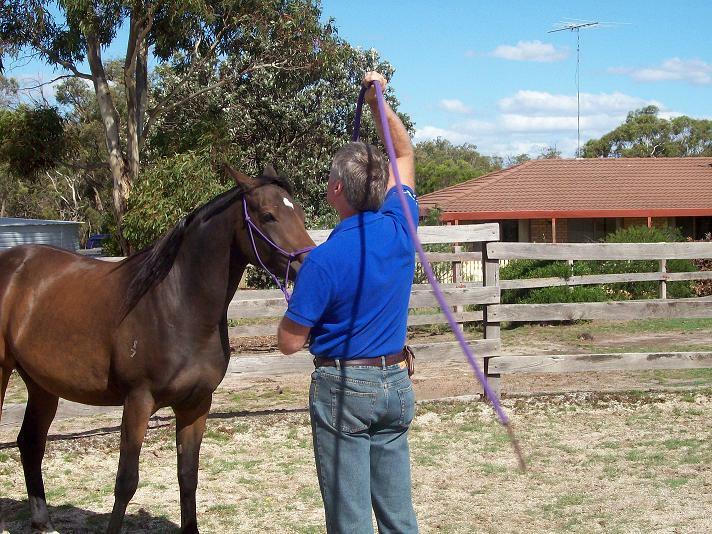 'Sadaq' is a magnificent bay GELDING bred to perform. He was 14.2hh. He is extremely athletic and very free moving. 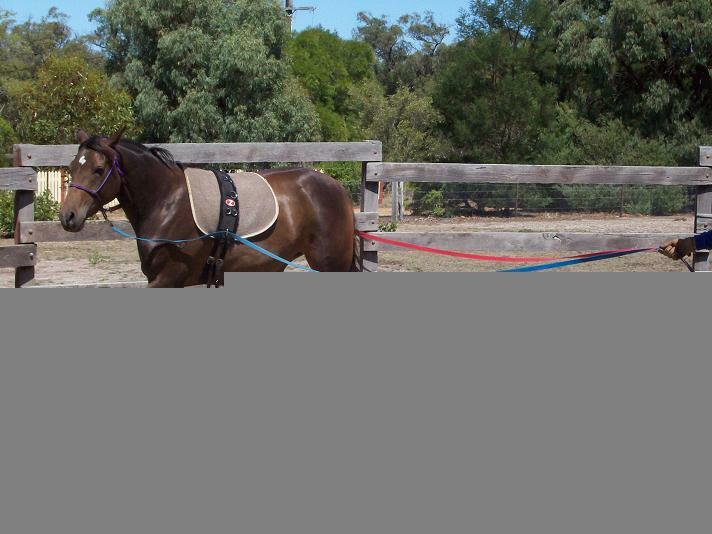 He has a dynamic collected canter and a long floating trot. He also exhibits speed, agility and flexibility. His Sire and Dam are both qualified endurance horses . 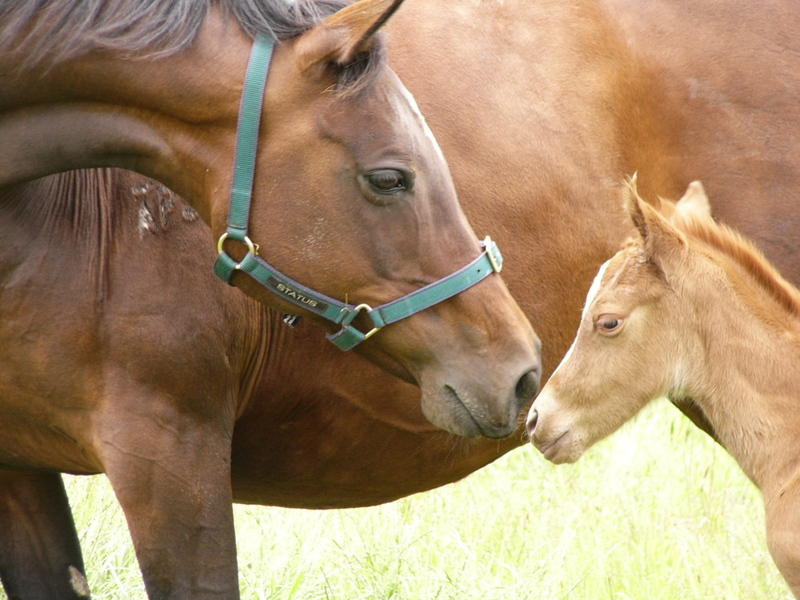 His Dam bred by Erica Williams is related to Natsu (3rd Place World Endurance Championships) and she was the AERA 4th Junior Distance & Points Horse for 2002 with 960Klms. 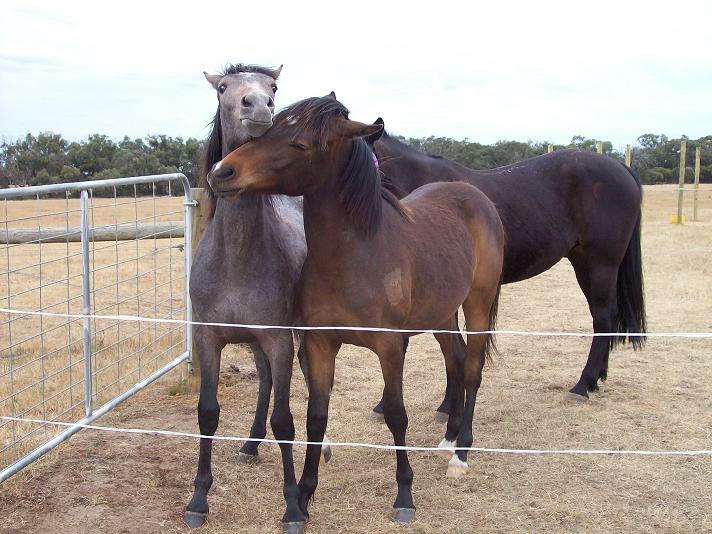 Sadaq bloodlines include; Nile (Mustafa), double Tallangatta Muftakher (Royal Domino) and double Gai General crosses. Sadaq has acquired those aspects vital for success; length of rein, strong clean legs, deep shoulders and girth, short back and cannons and strong powerful hind quarters. He is an excellent performance prospect. 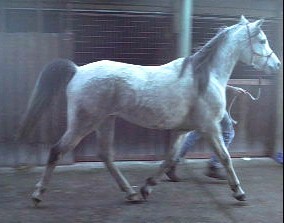 Sadaq was unbroken when Sold April 2004. 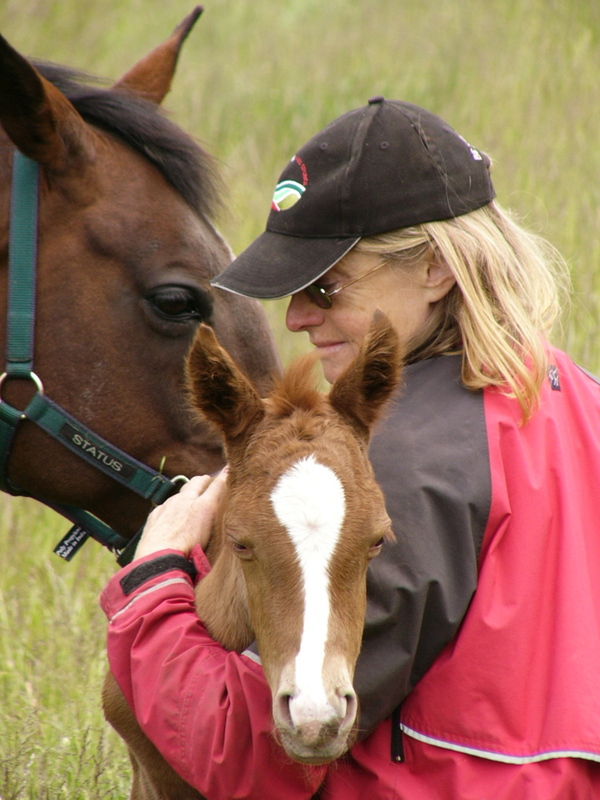 Karinn Liedler (now Karinn Panuccio -Sadaq's current owner) notified me in April 2006 that Sadaq went to his first "A" class show in Queensland and under saddle. That day he received one 1st and 2 x 2nds a 3rd and a 4th, as well as 2 Reserve Champion sashes under saddle. This was his first Major competition and has qualified him for the Aussie Championships in Sydney next year. His next major competition is the Arabian Gala Event on the Gold Coast and the Pan Pacific (as a newcomer). 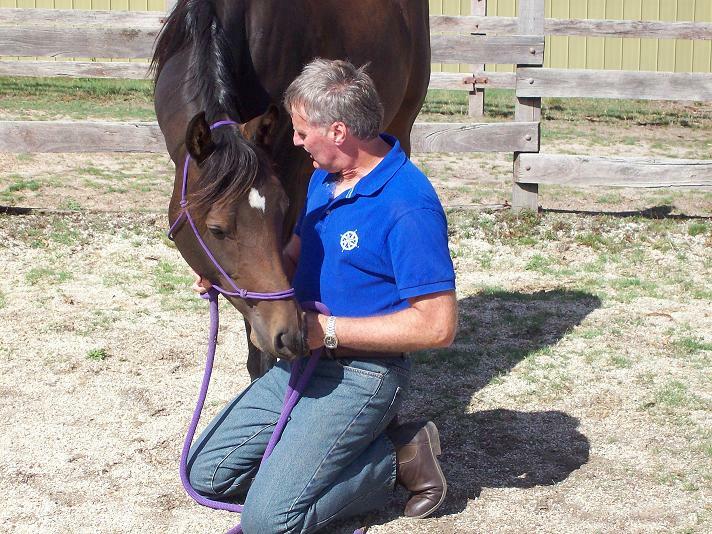 Sadaq was recently shown at the Brisbane Royal where he was Third in his Led and Reserve Champion in his Saddle class. In the Gala Event on the Gold Coast Sadaq won every class he entered. 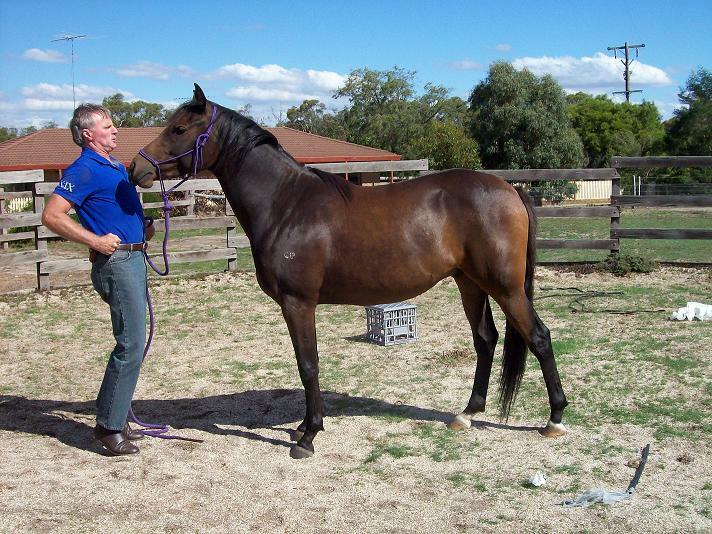 He is now going to Sydney for the Arabian Saddle Horse Championships and then the National Stud Book show in November. 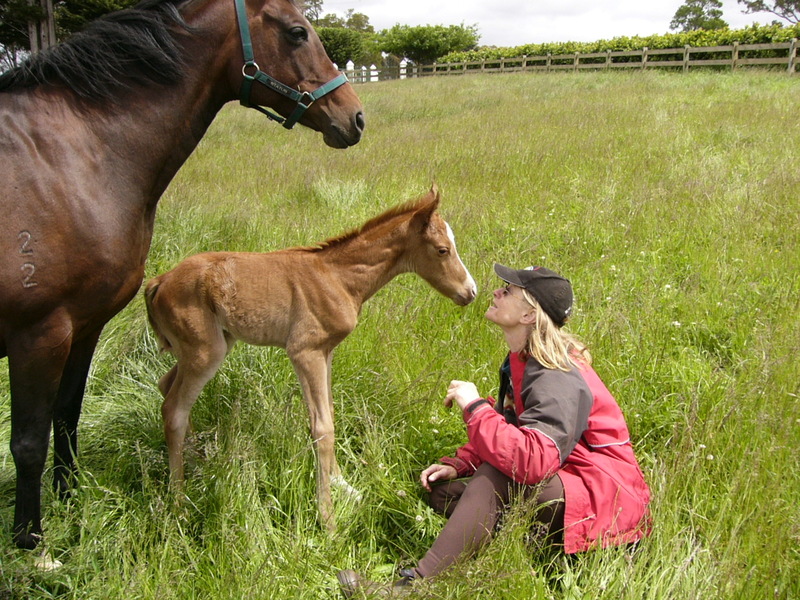 'Shouzaar' was one of Imoan Arabians first foals. Shouzaar was confident, and quick to learn. He was bred for performance, and his short coupling, strong shoulders, bone and hind quarters will ensure a comfortable, sound and powerful ride. His bloodlines reflect his movement, looks and performance foundation; Sindh, Nile, Tallangatta Muftakher, Mustafa and Rami Sash winner Ashib Al Zana. Shouzaar was Sold October 1999. 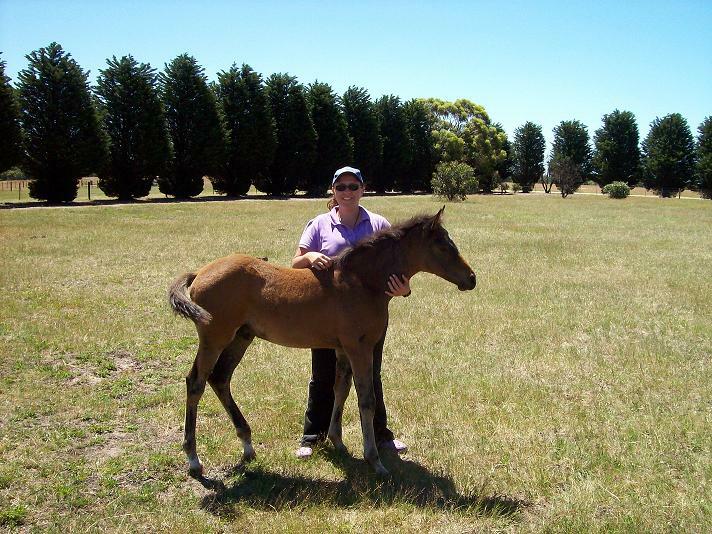 The stud purchased Joshua's dam (because she was in foal to Deveron Di Maggio a son of Deveron Duvall) a short while before she gave birth. Joshua is a powerful horse bred to perform .He was already just on 16hh as a 2YO. 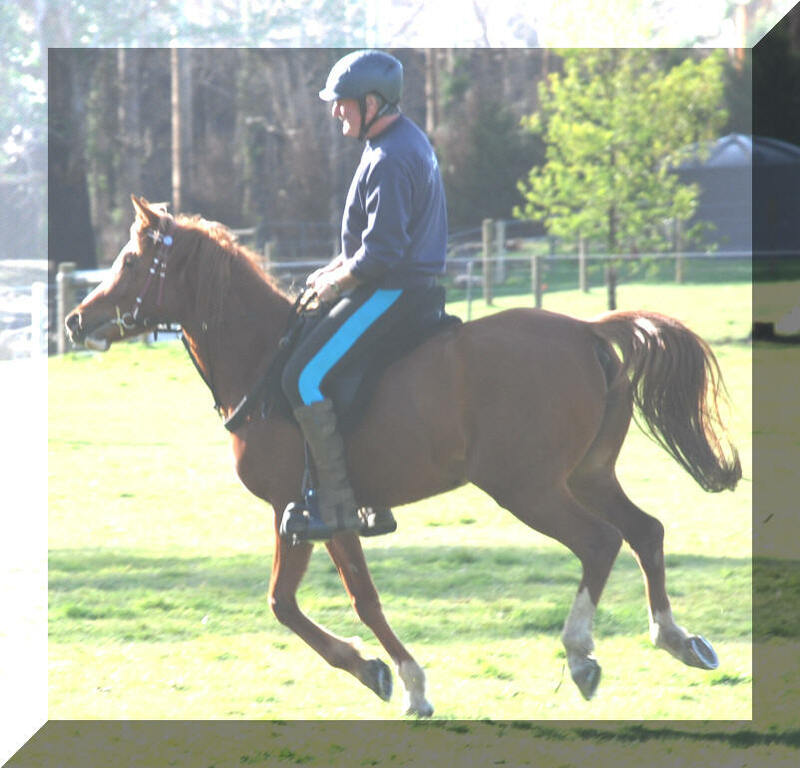 Joshua would be best suited as a ridden sports horse and his breeding and conformation suggest he would be suited to various disciplines like (Dressage, Jumping, Eventing , etc). 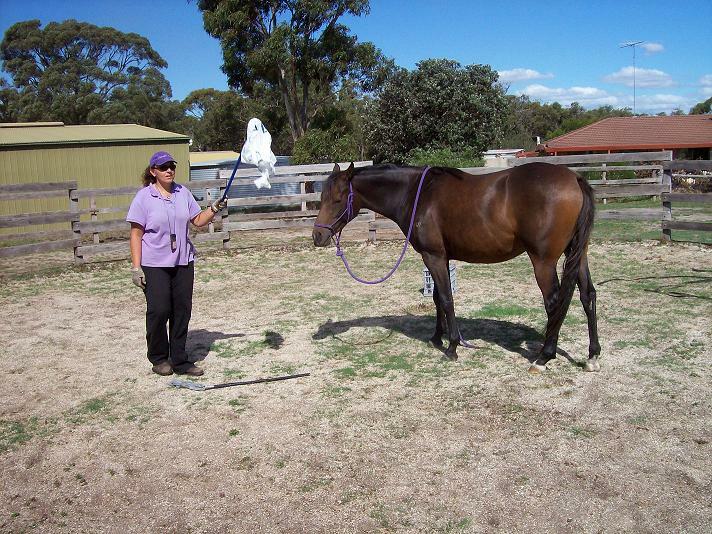 Joshua is a powerful well conformed horse who will commence his training in earnest late in 2007. Joshua was Sold 2nd October 2008 to continue his saddle training, education and performance career. Joshua has turned out to be an excellent show jumper - nicknamed "Brass Razzo"
'Caitie' holds a very special place at the stud. Nicknamed after our granddaughter Caitlin since she was born and 'foal imprinted' on and at her third birthday party in front of a crowd. 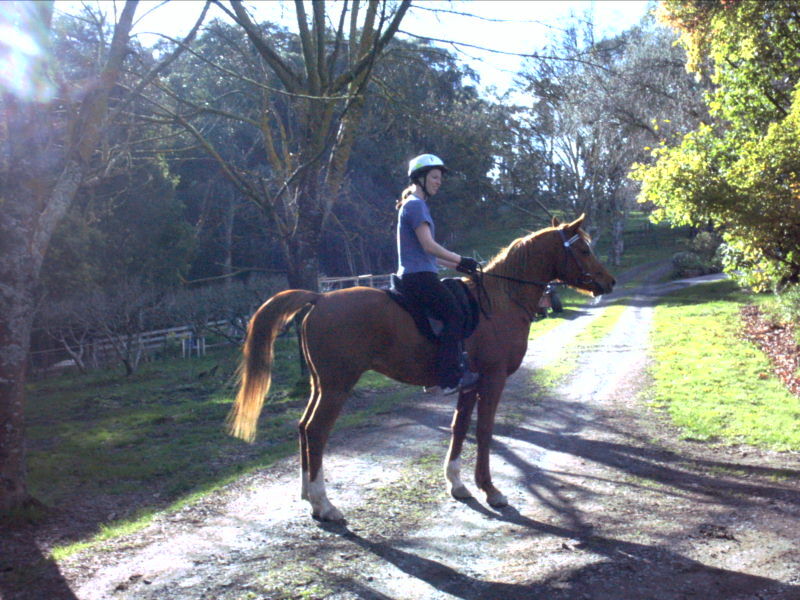 'Caitie' has become a Stunning Chestnut Filly with Flaxen Mane & Tail (similar to her Dam: Avondale Golden Gem) suitable for the Show Ring or a Ridden Career. 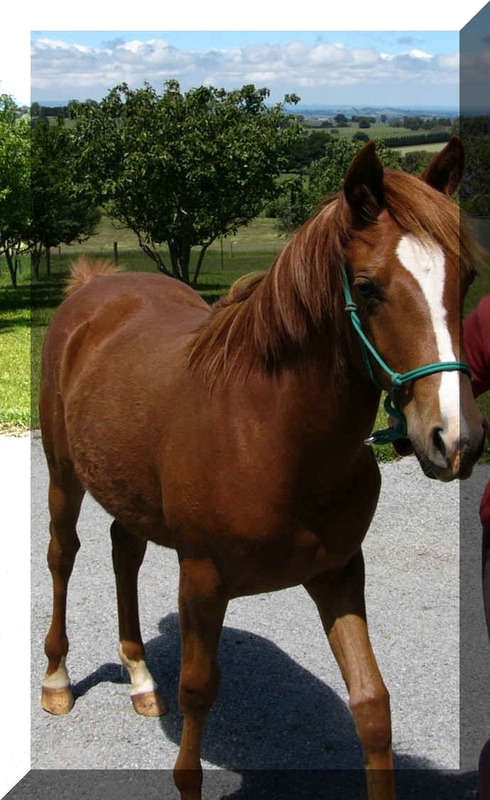 She is long-legged ,well muscled and she is currently ~14.3hh. She is a stunning filly with a powerful floating trot , graceful , smooth and efficient with a very competitive nature yet well behaved. 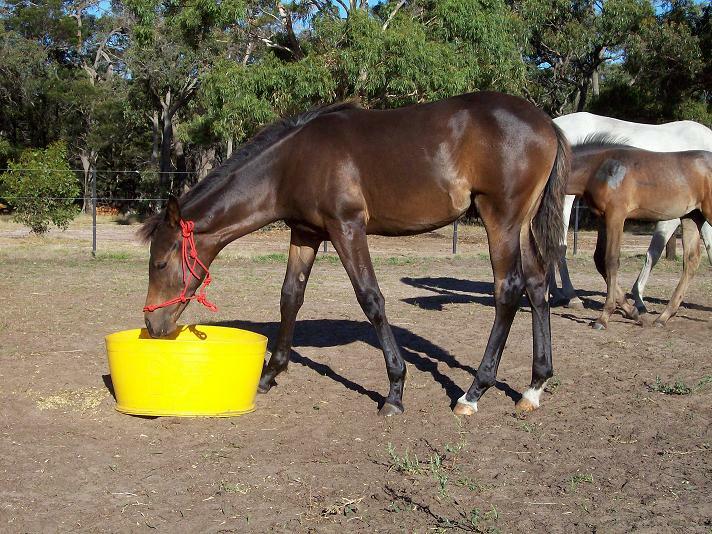 She is a filly with excellent conformation who would be exceptional in either showing or Performance. "Caitie" has proven Endurance Bloodlines. Her Sire "Niarob Shou-Lin--El-Sadat" is a Yellow Log Book Endurance Horse and her Dam "Avondale Golden Gem" has Strong Endurance Bloodlines. Her Pedigree includes ( Mustafa , Royal Domino, Aethon, Shahzada, Akhu, Sindh , Gai General, El Shaklan). 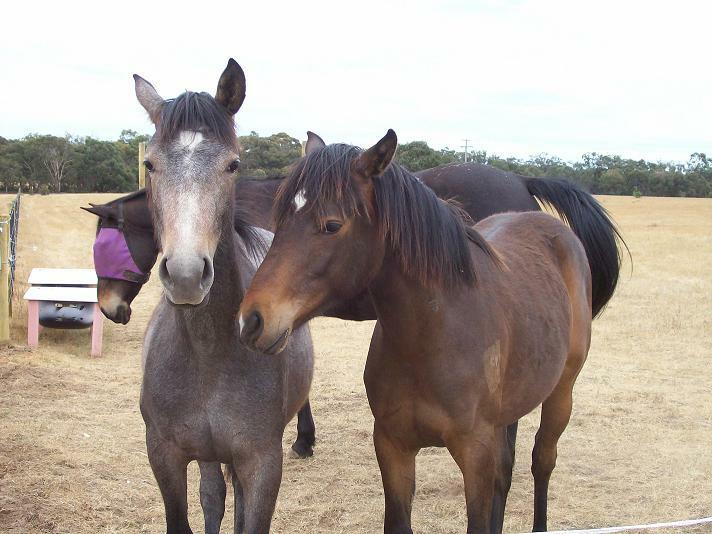 "Caitie" has been sold to Helen Spencer of Ararat, Victoria. 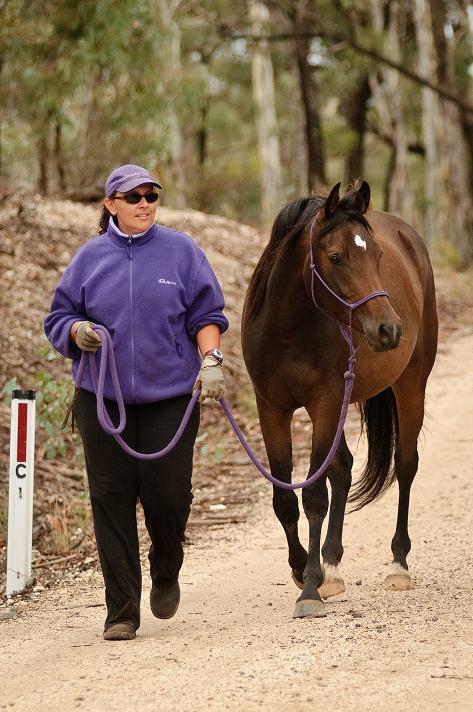 Helen is an accomplished and experienced Endurance Rider and she will prepare/condition "Caitie" for her endurance/performance career. Look for the team of Helen Spencer & "Caitie" around the Rides and Arenas in the future. Photos taken 30th December 2017. "It's a big stretch to reach food on the ground when your legs are so long." 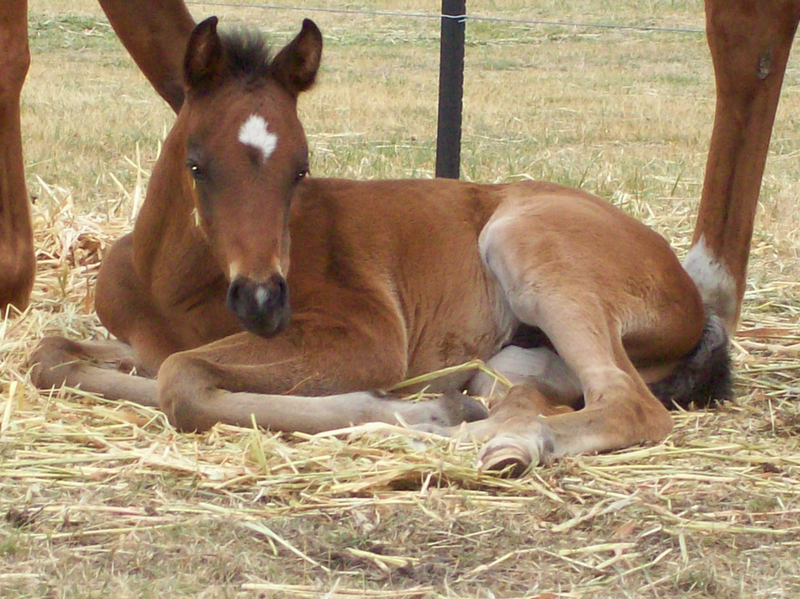 According to Kim "Romeo" looks like his Sire and should be a big boy. 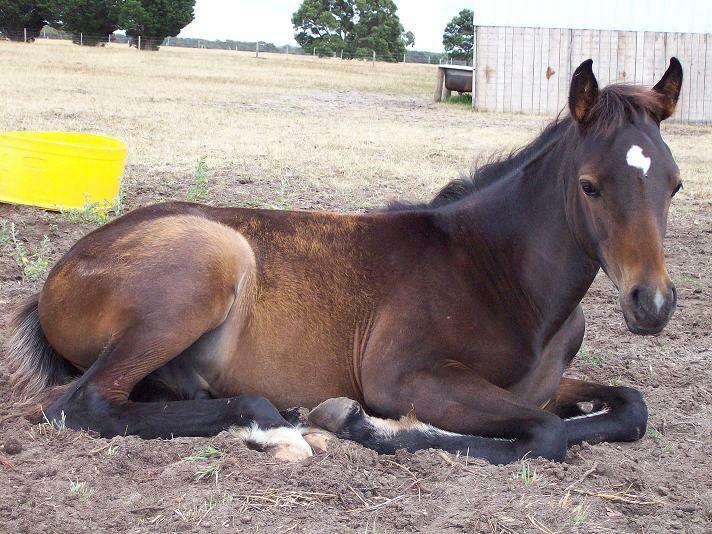 He is already just over 14hh - 6/01/2009. 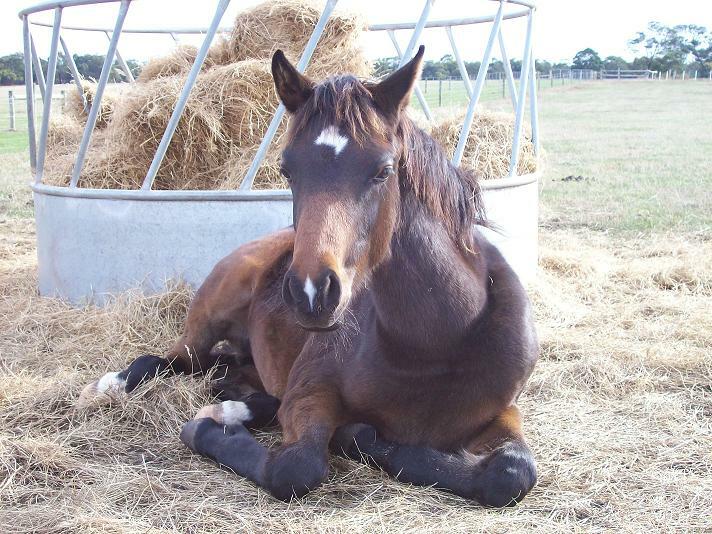 "Romeo" is now 15hh and Growing. Kim Pulvirenti is doing a fantastic job with "Romeo", I deliberately adopted some threatening postures and "Romeo" was just not phased.